Welcome to Abilene Animal Hospital, located in Abilene, Texas. At Abilene Animal Hospital, we provide full service veterinary care including vaccinations, spaying and neutering, general medicine and surgery to pet owners in Abilene and the surrounding Big Country. We offer a “down to earth” approach of quality medicine to our clients. 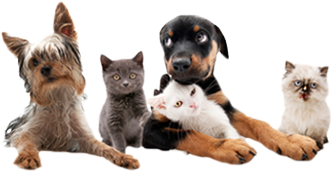 In addition to veterinary services, Abilene Animal Hospital also provides boarding and grooming services to dogs and cats of all breeds. We invite you to check out the rest of our website and see for yourself the services we offer. After you've looked over our website and see which services would best suit your needs, give us a call and let us help you give your pets the love and attention they deserve. At Abilene Animal Hospital, every dog has his day! Need a friendly Veterinarian? We are anxious to provide the best care possible for your pet! All information provided is provided for information purposes only and does not constitute a legal contract between Abilene Animal Hospital and any person or entity unless otherwise specified. Information is subject to change without prior notice. Although every reasonable effort is made to present current and accurate information, LinkNow!™ Media makes no guarantees of any kind.